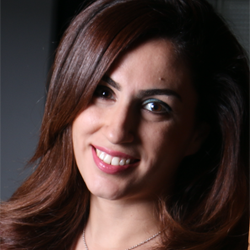 Sara Hajian is a data scientist at NTENT, a search technology company. She received her Ph.D. degree from Computer Engineering and Maths Department of the Universitat Rovira i Virgili (URV). She received her M.Sc. degree in Computer Science from Iran University of Science and Technology (IUST). Her research interests are machine learning, social media and social network analysis, privacy-preserving data mining and publishing, and algorithmic discrimination. She has been a visiting student at the Knowledge Discovery and Data Mining Laboratory (KDD-Lab), a joint research group of the Information Science and Technology Institute of the Italian National Research Council (CNR) in Pisa and the Computer Science Department of the University of Pisa. She has been a visiting scientist at Yahoo! Labs in Barcelona. The results of her research on algorithmic discrimination featured in Communications of ACM journal. She co-organized the first IEEE ICDM International Workshop on Privacy and Discrimination in Data Mining (IEEE PDDM 2016).